Plumbing system maintenance is a very important work that we neglect most of the times. We should take care of plumbing on a regular interval of time or else we will have to pay a huge amount of money if any plumbing disaster happens. Plumbing system maintenance’s also necessary to increase the durability of plumbing. Your drain needs to be maintained on a regular basis. And regular maintenance includes annual inspection and if required a drain cleaning. 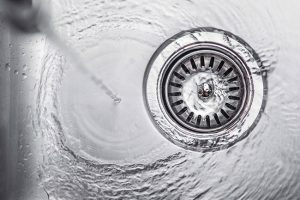 Cleaning drains can help you to remove the junks and sediments which are getting stored in your drain pipes which eventually lead them to clogging. Professionalization will take care of it and will also find out if there are any other problems. Kitchen is the most important part of any home. So, it should be taken care of without any adjustments. ASAP plumbing services deal with all the problems that arise in your kitchen. Gas leaks– Gas leaks are very dangerous. It should be dealt with great efficiency. And ASAP plumbing services have specialized labors who can deal with this problem properly, without harming anybody. Water leaks– Water leaks are apparently less harmful but can create a huge chaos if it is ignored for a long period of time. And you may also have to lose some hard-earned money. So, if you are getting the signs of water leakage like sound of running water, stained walls, raising of your water bills or growth of mold you should contact them, and they will prevent it from further expansion. So, ASAP plumbing services have all the answers of all kinds of plumbing needs. Just give them a call at (818)650-4628 and they will solve all the problems related to plumbing.